Talking with Kenji Kaga of Sevenfold (and Tie Your Tie) recently threw up some interesting questions around what makes a tie appear vintage. Kenji is heavily influenced by 1940s-1950s styles, as is evident in his tailoring. But he freely admits that many of the tie and handkerchief designs he produces wouldn’t have actually been worn during that period. So what gives them a vintage look? “Texture is important. We associate vintage silks and wools with a dry feel, and a matte finish,” Kenji says. Colour, too, is key. 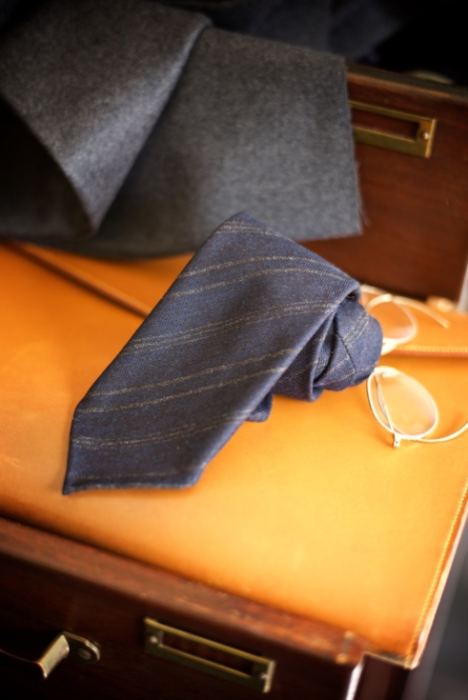 Often old ties will have faded and be less vibrant than when they were first worn. So we associate more muted colours with a vintage look. This is most evident in the silk swatches that Sevenfold offers to customers. 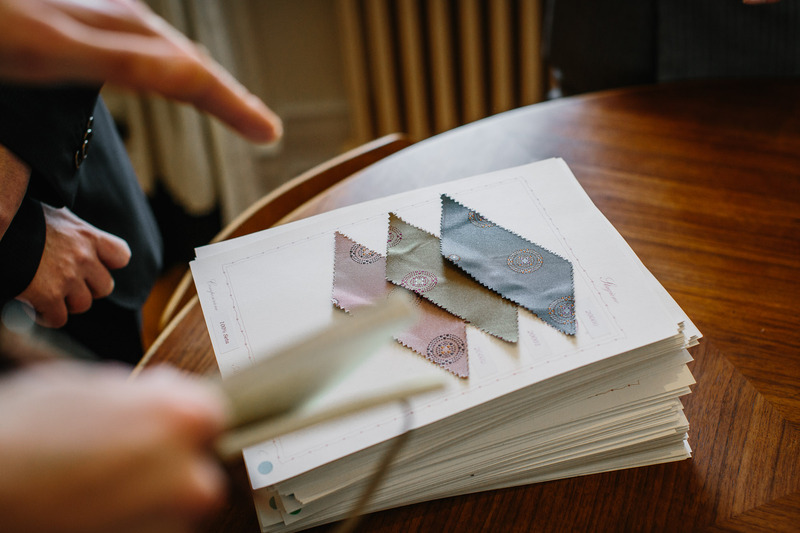 The set of three below, for example - a pink, a green and a blue - are all more muted, chalky shades that you would get from a Drake’s, Bigi or similar. It was also nice to see more restrained designs in the swatch selection, because people can easily be put off by Kenji’s unusual - and often bold - designs. It won’t be a surprise to readers to learn that most of the ties shown in the images here - from the Sevenfold showroom in Florence - aren’t ones I would wear. But there are often subtle gems in the selections made by Barneys, No Man Walks Alone, The Armoury or other stockists. The Armoury, for instance, stocks a lovely navy herringbone and olive jacquard alongside some much brighter vintage patterns. The different brands can also be confusing, and come with a lot of back story. Tie Your Tie was an Italian shop founded in 1984 by Franco Minucci, which also later started its own tie factory outside Florence. Kenji Kaga was the manager of the tie factory, and became the creative director of the new Sevenfold/Tie Your Tie. But in Asia, they can't use the Tie Your Tie brand, so they have used brand names Sevenfold, Kenji Kaga and now a new one, Atto Vannucci. Ties labelled 'Tie Your Tie' in Asia are therefore from a separate company and separate factory. Tie Your Tie in Europe and the US, and the other three brands, are all from the same company and all made in the Florence factory. 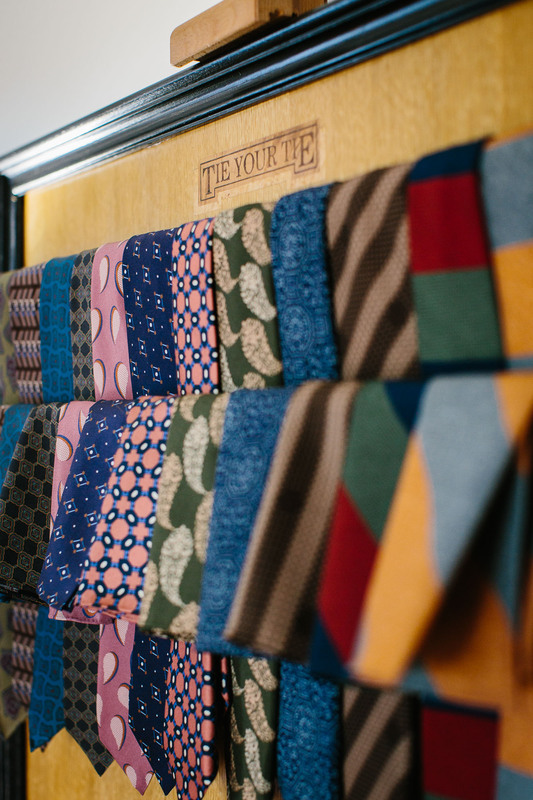 This June, Kenji is opening a new Tie Your Tie store in Florence. 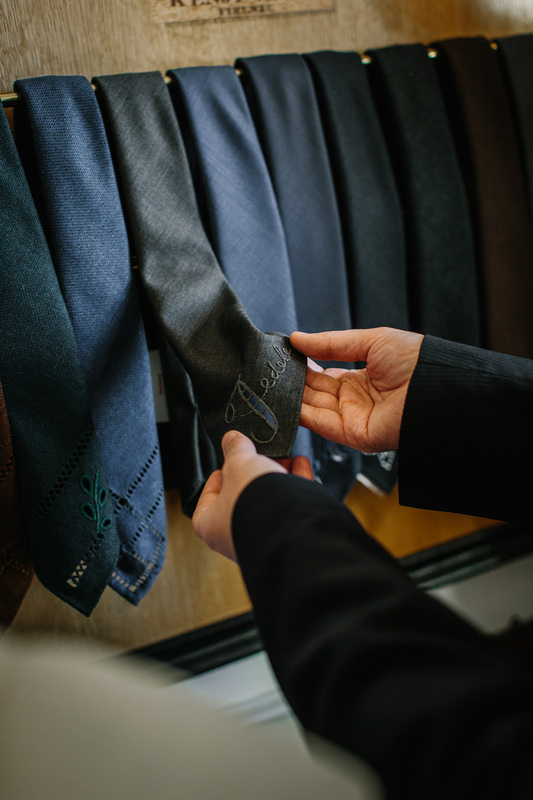 You can see how this could all be confusing - particularly so for retailers like The Armoury, who have had all three labels (not Atto Vanucci) on their ties in Hong Kong and New York over the years. Kenji is also now presenting 'Kenji Kaga' as a separate brand working with more unusual handwork and embroidery. You can see examples of the designs below. Beautifully executed, but probably a little too quirky for me. However, it's important to say that all ties out of the Florence factory over the years have generally been united by an attitude to precision and pressing. The ties have tended to be lightly pressed, meaning the blade does not sit flat and square, but is more rounded at the edges - almost tubular. This has the effect of feeling more natural, as if you are wearing a simple piece of rolling silk. The ties are often untipped to the same end. The level of precision is also very high on Kenji’s ties - as seen most clearly in the fineness and balance of the hand-rolled tips. 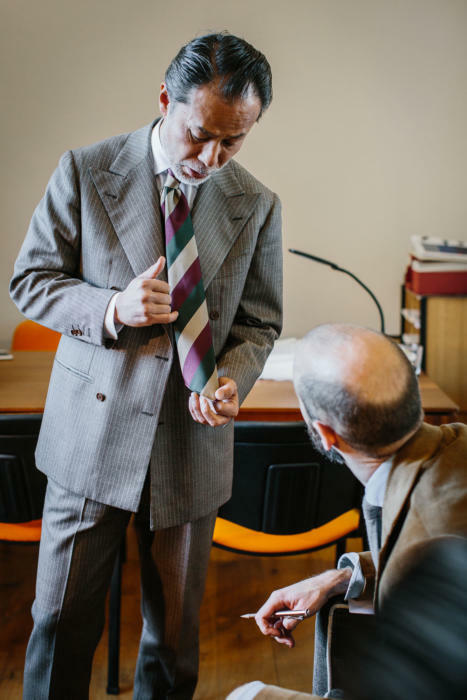 The brands are brought together by this approach in the workshop (there are nine staff in Florence currently, making entirely for Sevenfold) and by Kenji's aesthetics. 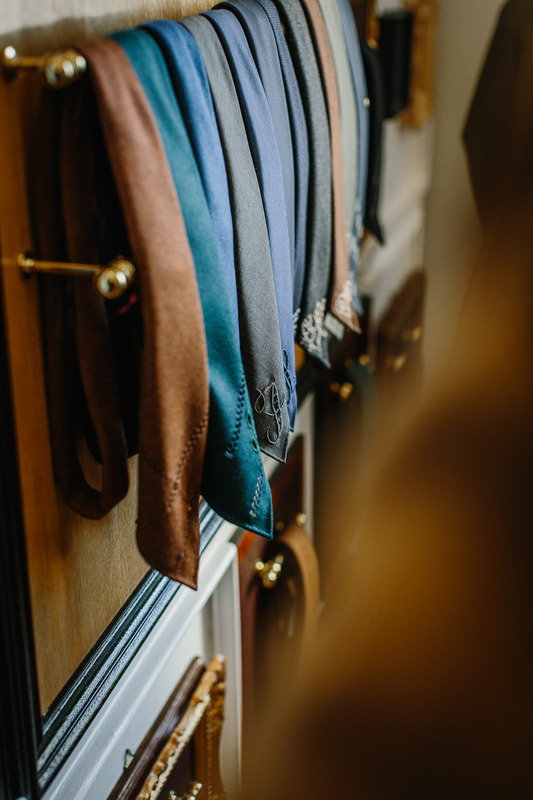 In the UK, Tie Your Tie is stocked at Exquisite Trimmings and has recently started doing trunk shows in Selfridge’s. Elsewhere around the world, it is stocked at Brio in Beijing, Double Monk in Melbourne, and various shops in Korea and Japan. 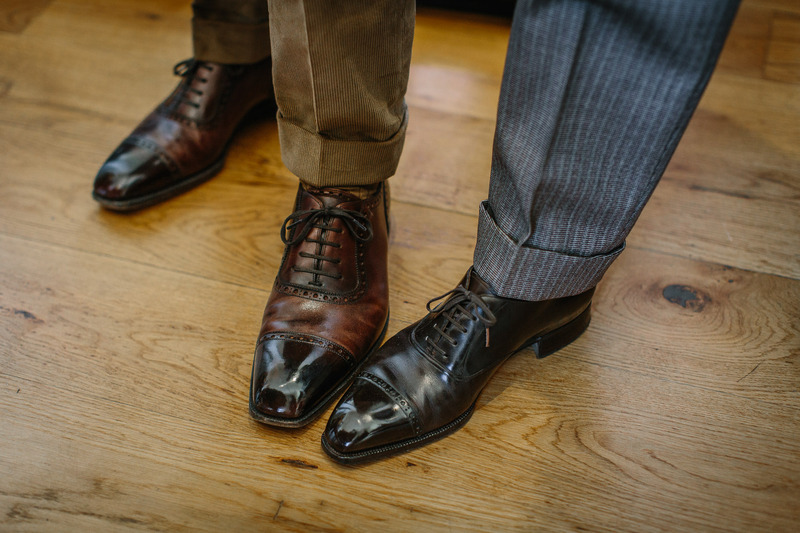 And Kenji and I spent a while comparing our bespoke shoes - mine from Gaziano & Girling, his from Hidetaka Fukaya. His were beautiful though, he admits, not always the most comfortable. 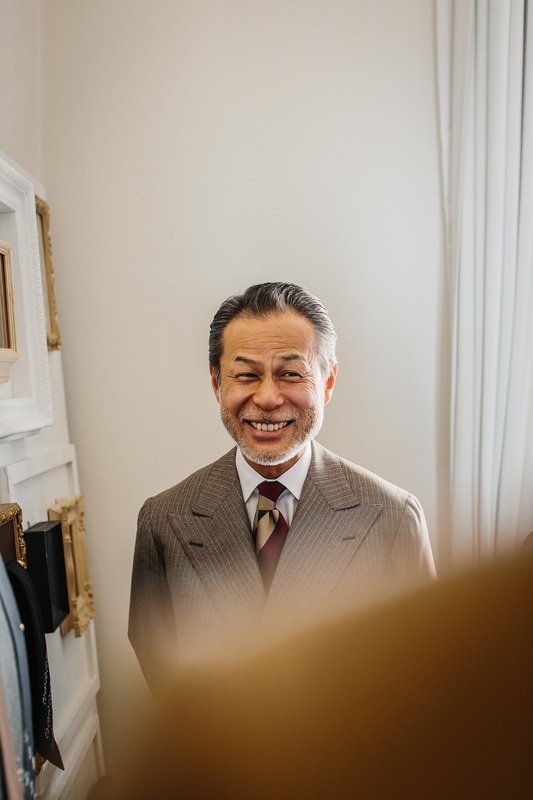 You can follow the discussion on The vintage feel of Tie Your Tie (and Sevenfold, Kenji Kaga…) by entering your email address in the box below. You will then receive an email every time a new comment is added. These will also contain a link to a page where you can stop the alerts, and remove all of your related data from the site. I was always impressed by his style. May I ask if anybody know who he is using as a Tailor? It’s interesting to see the price difference between the Barney’s and Armoury offerings. Can we attribute that to the Armoury displaying 7-folds with handrolled edges? You are partly right. All the Armoury offerings feature handrolling at the very least, while many are 7 fold. However, The Armoury overcharges for just about everything they sell. There are a number of other stores selling these same ties for close to half the price. These ties look lovely! Can you comment on the lining? I’ve noticed that older ties have thinner linings than ties from today. Is that the case with these linings too. Great post Simon. I was wondering, I think we all know the best shirting mills in the world but what about the best tie fabrics mills in the world? Who are they? I know Carlo Riva, Canepa and Mantero all from Como. Anybody from Macclesfield for example? Anybody else from Como as well? It seems that “everyone” I see in media is wearing what appears to be a plain black tie, often with a dark suit. Does anyone else find this mind-numbingly dull? does it defeat the virtue of a knit tie to have it end in a point? That is, is part of the versatility of the knit tie (and, thus, its inclusion as a wardrobe staple) it’s informality, i.e. square, flat bottom? So if you don’t mind elaborating further, the ties that are TYT in those asian(mostly japanese) sartorial shops are by the Florentine TYT? I’m confused because I see a fair bit of japanese shops carrying TYT. If I’m looking for true provenance TYT from florence and in those sartorial shops that carry TYT, it is not explicitly mentioned if they are florentine TYT or non-florentine TYT. Is it possible to disclose the other TYT factory and brand owner? Hi, Do you have any idea on the silk producers they use, any specific mills? 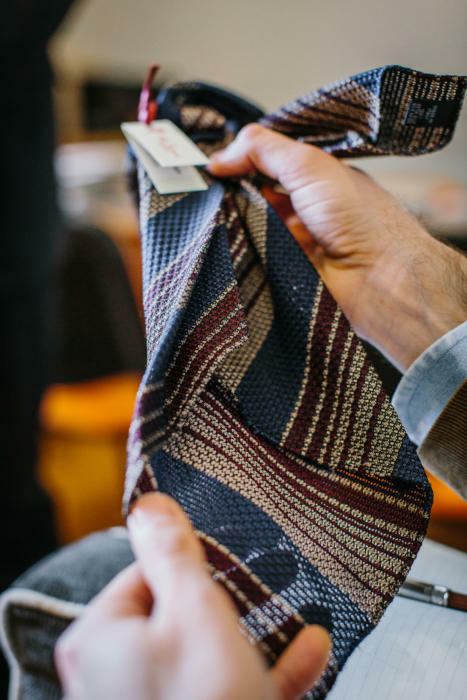 Would love some insight in the different tie fabric producers around the world.